The Russian Presidential Special Envoy to Syria, Alexander Lavrentyev, confirmed the withdrawal of Iranian forces to a distance of 85 km, from their former positions, near the Israeli-occupied Golan Heights border. Israel has reached an agreement with Russia, the power-backer of the Syrian President Bashar Assad’s regime, to remove Iranian forces in Syria to within 85 kilometers from the Israeli Golan Heights border. The Iranian withdrawal came under Russian supervision not to raise Israeli concerns over their border security. 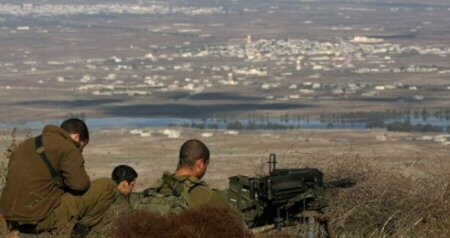 Lavrentyev added that Russia believes that Israel’s concerns about Iranian presence near the Golan Heights border are decreasing. Last month, Israel rejected an offer by Russia to keep Iranian forces in Syria, while 100 km from the Golan border. Reportedly, the Israeli Prime Minister Benjamin Netanyahu told Lavrentyev that the proposed 100 km distance was not enough. Netanyahu’s main concern is to ensure that Iranian forces, who are fighting alongside Assad, along with Hezbollah, which is a Lebanese militant group, are all as far off from the Israeli border as possible. Previous to that, Israel turned down another offer by Russia in which Iranian forces would be kept about 80 km from the border. Netanyahu had also met with the visiting delegation of Russian Foreign Minister Sergei Lavrov last week to discuss regional developments, as well as Assad’s advance in southwest Syria and concerns related to the Israeli Golan Heights border security.